We are delighted and honored by your visit, and we hope that today marks the first day of a new, honest, and rewarding friendship! The strength of our dental practice is sustained by our experience, knowledge, a sincere empathy, and by the value we place in honor, accountability, and service. Our patients appreciate our compassion, and the consistent excellence in dental care they have become accustomed to receiving from us. Our same stable, solid team of professionals know them by name and remember them well, from their specific individual needs, to their interests and hobbies. Dr. Lindsay D. Christensen and all of us here at Smile Santa Fe, are here to provide you with quality care, customized to your own needs. We offer a wide range of preventive dentistry, cosmetic dentistry, and restorative dentistry services, including gentle root canals, crowns and bridges, mercury-free, tooth colored fillings, and emergency dental care. We are committed to helping you achieve optimal oral health and a confident smile. We know that the dentist/patient relationship is built on trust, and we would like to thank all of our customers, old and new, for choosing Smile Santa Fe Dental, for allowing us into your lives, and for giving us the opportunity to earn your trust and sow the seeds of a healthy, long lasting relationship. It is our promise to make your visit as comfortable and pleasant as possible and we know you'll find our staff to be some of the most friendly and helpful people that will have had the pleasure of serving you. You can rest assured that the moment you walk in the door (or place your call) we will be eager to please, quick to help, and deliver the expertise in dentistry that only a practice with our level of experience and commitment to excellence can provide. Your Oral Health Is Our Number One Priority! We will work together to address your oral health, comfort, function, and your aesthetic concerns. 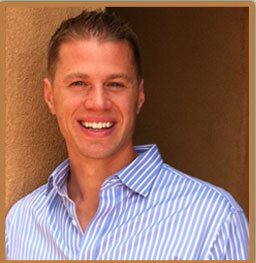 Call Smile Santa Fe today to schedule an appointment with Dr. Christensen and team. Our office is conveniently located in Santa Fe, NM.